Volume 5 of our Fun & Fitness range is here. 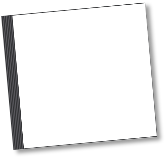 Using 25 years of experience and customer feedback, we've been working hard to produce our best-ever collection of songs. 16 great new songs that you'll be able to use with your children time after time - and year after year, confident that the programmes have been carefully and professionally written to develop the important physical skills that young children need. Go active! Everything you need for your Early Years Olympics project! Stand Up Sit Down, Do Your Warm Up, Round We Go and Music Music Music (done with sticks/lolly sticks - a very popular choice). 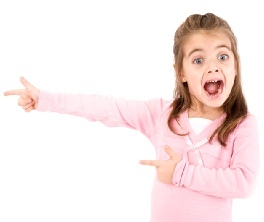 Many songs encourage listening for instructions and the rhymes develop fine motor skills. 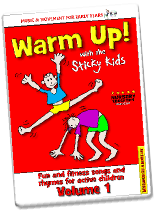 Warm Up has received a 5 star review from Nursery Education Magazine. 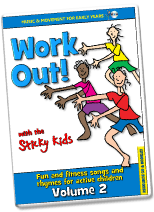 Our all time, best-selling, classic fun and fitness title. 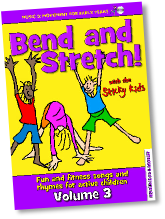 16 songs for physical development, listening skills and developing the imagination. Includes Funky Monkey (a big favourite). Zooming To The Moon, Stir Up The Porridge and Old Macdonald (the animal action version). 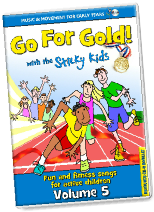 Volume 3 - loads more carefully planned songs to get children active while they have fun! 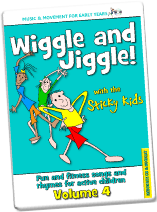 Volume 4 - a wiggleload more songs to get children active while they jiggle around! Please choose more titles from the drop-down menu! Bend with the letter B, or Tip the Teapot with the letter T.
Ideal gift for young children - for end-of-term, for Christmas, or just as a special reward. A collection of 6 action songs from our range of 4 fitness CDs.